There are a lot of stereotypes about people who have Anorexia Nervosa (AN). Conceptualizations usually start with “Anorexics are…” followed by beliefs about how they look, what their behaviors are, and what they think. Common stereotypes usually include some combination of AN as a “white, rich, vain, adolescent girl, bizarre eating lifestyle choice.” The image is usually one of an emaciated girl, who looks so frail that she might be blown over. Manipulation of food (e.g., refusing it, hiding it, or lying about it), distortion of body image (e.g., complaining that they are “fat" or that they “need to lose weight”), and obsessive focus on thinness (e.g., sacrificing other life areas, including significant activities such as school or work, important relationships such as family and friends, and medical stability, such as lowered heart rate and brittle bones) is the picture that most have in their mind when they think of AN. There are criteria that define AN, outlined in the Diagnostic and Statistical Manual of Mental Disorders 5 (DSM 5). These are 1) Restricting food leading to significantly low body weight; 2) Intense fear of gaining weight/becoming fat, or restricting food/over-exercising that prevents weight gain; 3) Body image disturbance, over-influence of body shape/weight on self-esteem, or lack of recognition of low body weight. The result is that you can’t tell by looking at someone who as AN (or any other eating disorder, for that matter). Judgmental comments from others about weight and behaviors are at the very least not helpful, and in some cases, may be very harmful (e.g., increasing stigma and shame). If you are truly concerned about a person or yourself, it is imperative to see a team of eating disorder professionals (e.g., primary care physician, psychiatrist, therapist, nutritionist) who can properly assess, diagnose, and treat the AN, as well as the whole person. Diagnostic and Statistical Manual of Mental Disorders 5 (DSM-5). (2013). American Psychiatric Association, APA Press, Washington, D.C.
Heather, MSW, LICSW, QCSW, ACSW has served on the Board of the National Eating Disorders Association (NEDA) since 2013, and collaborates with her NEDA colleagues on Eating Disorder research studies, papers, and presentations. 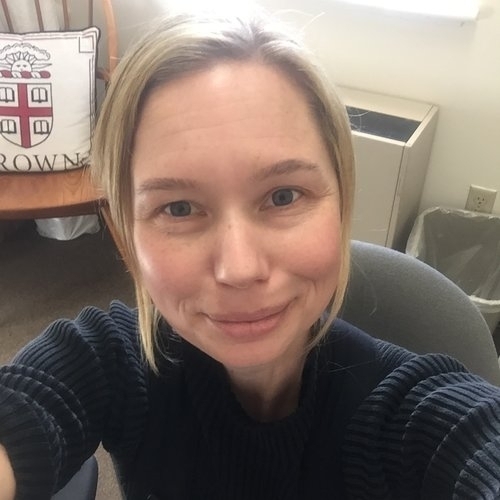 Through her position at Brown University Department of Psychiatry and Human Behavior, she has also been collaborating with her local Rhode Island Hospital/Hasbro Children’s Hospital Eating Disorders Partial Hospital, Outpatient, and Home-Based clinical programs since 2013. Heather had Anorexia Nervosa for 23 years, and has been recovered since 2012.